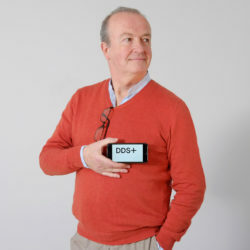 In 2006, he was one of those who was there right from the start of the firm, and together with his partners and team, built it up into what DDS+ is today: a lively and creative player on the Belgian real-estate market. As an architect, he helped to shape many projects and inspired customers to achieve excellent results. He is fascinated by the city, enjoys working on mixed urban projects characterised by their complexity and impact and derives great satisfaction from them. Each project must make a positive contribution to the city and its environment. He always endeavours to achieve that.